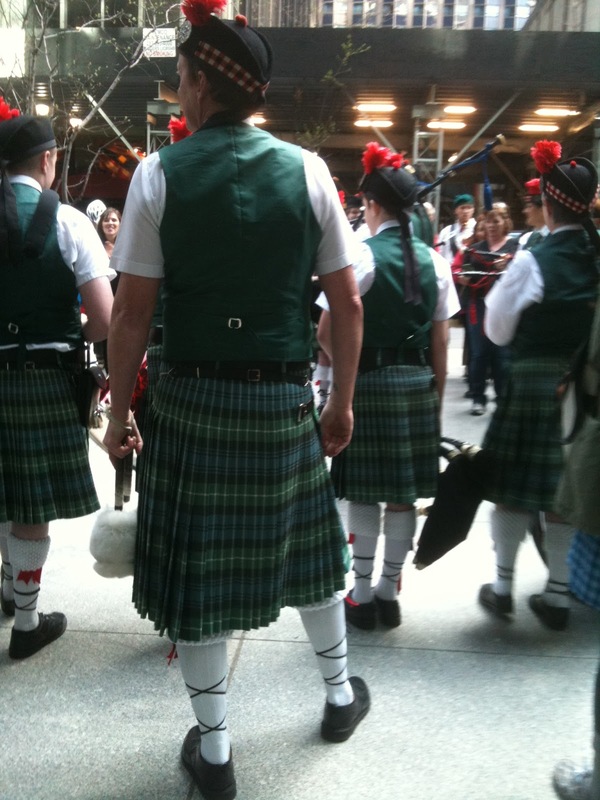 the annual tartan day parade on a beautiful sunny day! 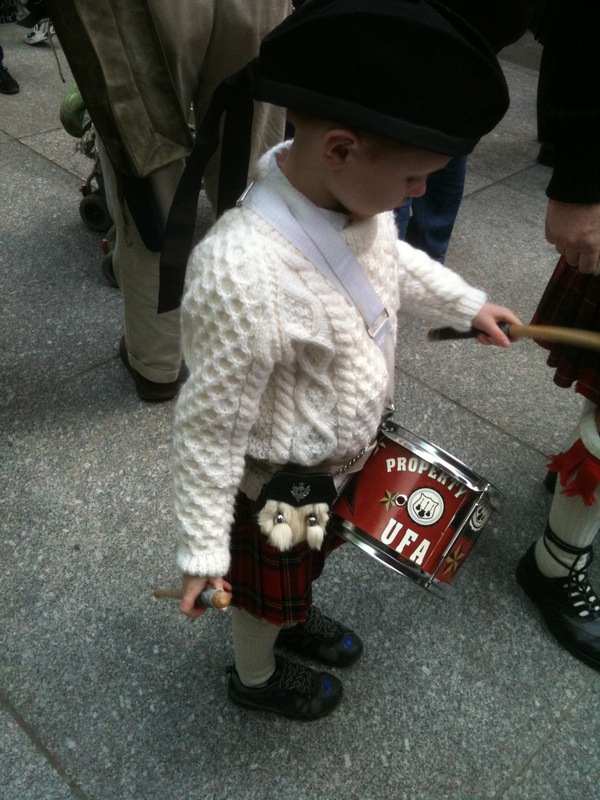 after the parade, vanessa and i watched the drum and piping circles form up on 55th street between sixth and seventh avenues, the most powerful, concentrated, and amazing part of the parade. this group, including four bass drummers, played 'amazing grace' together and it was basically transcendent. in addition to the older gentle folk. it's a humble practice, learning what has come before you and renewing one's culture.